Bangladeshi ready-made garment (RMG) manufacturers are increasingly sourcing fabrics from abroad due to high price and quality concerns of the local fabrics. Some RMG manufacturers, which used to prefer local fabrics and yarn, mainly taking advantage of purchase on credit, have also been increasingly turning to other destinations, such as China, India and Pakistan for sourcing. Textile millers said, low pressure of gas and electricity supply disruption and poor transportation system pushed up prices of their fabrics making them uncompetitive to the RMG manufacturers. Lack of expertise, inefficiency and wrong technical, financial and operational planing are considered by the industry analysts as some of the root causes of uncompetitiveness of the textile industries in Bangladesh. 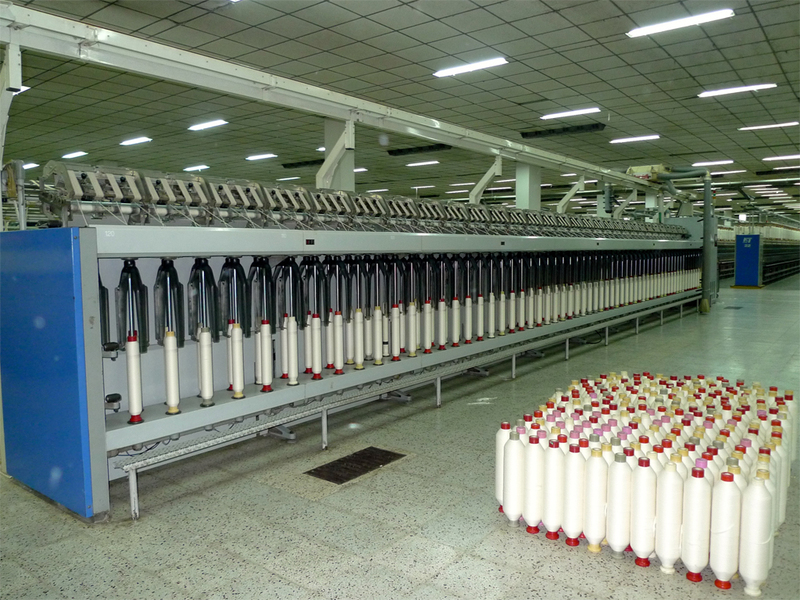 “With sluggish demand in RMG units and shortage of gas and electricity, over 30 per cent of our production capacity now remains unutilised round the year,” estimates Mr. Mohammad Ali Khokon, Managing Director of Metro and Makson Spinning Mills Ltd. He said the RMG factory owners used to prefer local products because of better benefits in making payments such as purchase on credit and payment in local currency and altering materials or other details (if necessary), but high prices of our products force them to consider sourcing from abroad at a cheaper rate and consistent quality. “My factory has a capacity of producing 23 tonnes of yarn per day but I could not produce more than 15 tons daily for the last one year,” he added. He claimed a considerable number of small and medium size textile mills were facing closure due to the current situation. Director of the Bangladesh Textile Mills Association (BTMA) Engineer Mr. Ahmed Ali said that those who increased their production capacity following export growth in the financial year 2010-11 are the worst victims of the current situation. According to him, many of their fellow businesses have increased production capacity following the sudden rise in demand in the year 2010. But relaxation of Rules of Origin by the European Commission and low pressure of gas and scarcity of electricity and some other bottlenecks have pushed up production cost of local fabrics and put the local millers at serious risks. The revised Rules of Origin (RoO) adopted by the European Commission, effective since 1 January 2011, allows Bangladesh to continue enjoying GSP trade privileges in the European Union (EU) even for the imported primary materials like fabrics. According to the new rules at least one production process must be completed in Bangladesh in order to be eligible for the GSP in the EU. Irrational and unplanned expansion in spite of unutilised capacity in the country in one hand and lack of expertise, inefficiency and operational incapabilities on the other resulted uncompetitiveness of the textile industries of Bangladesh putting it in an irreversible risky situation. Analysts recommend urgent consolidation in the textile industry increasing expertise, efficiency and operational capabilities through technical and financial discipline to avoid mass closure of textile mills and related businesses creating more bank loan defaulters i.e. breaking the economic backbone of the nation. Further subsidies or cheap loans would only linger death of the seriously ill industry like, the Jute industry, making the death more intense and sustained painful for the whole economy.